Although this statue was originally built in Thailand, it didn't look this good when it arrived at G&M Body Shop. He is probably the best advertisement for an auto body shop that specializes in aesthetic repairs and upgrades - Optimus Prime himself is an upgrade. 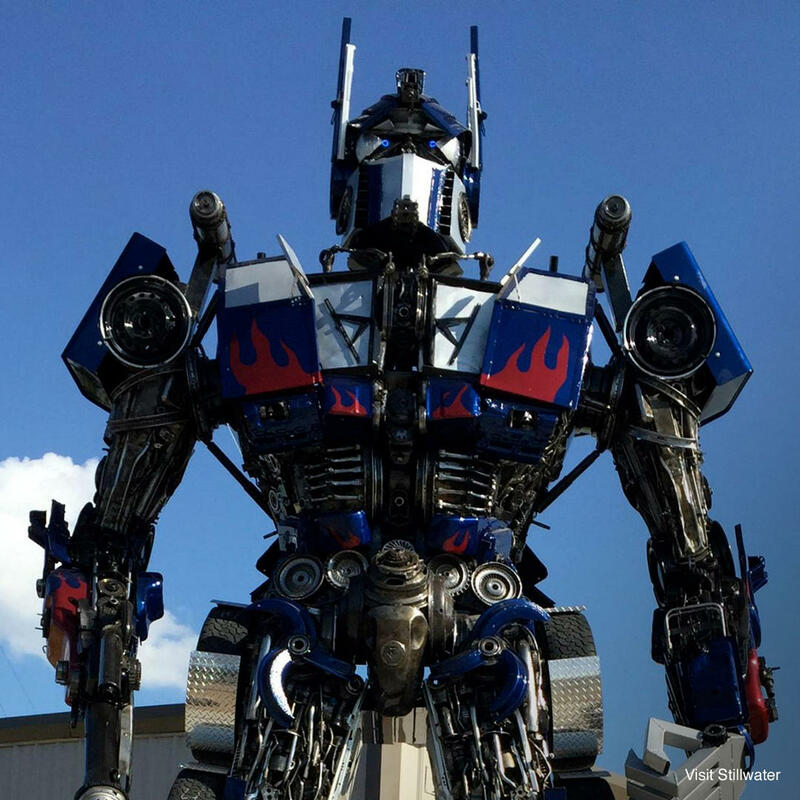 Once dull and cheap looking, owner Mike McCubbin used old car parts and shiny auto paint to recreate a hero that lives up to his title - leader of the Autobots.